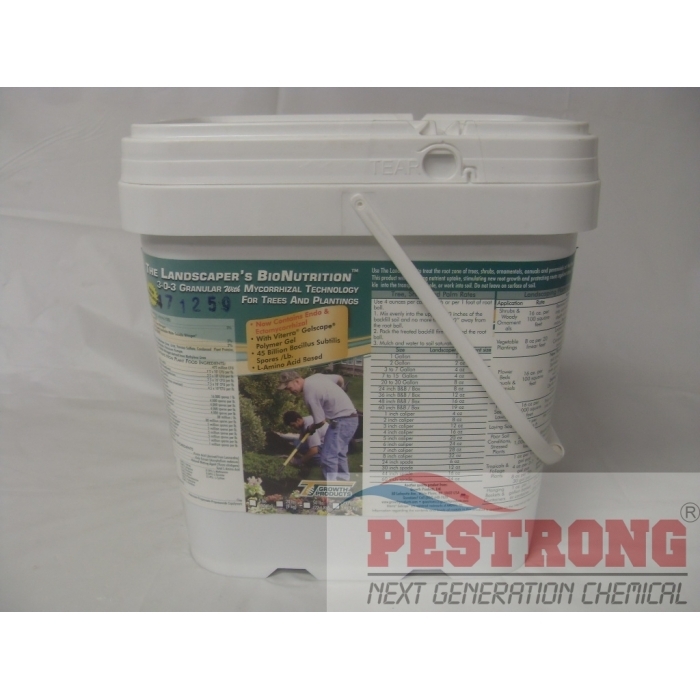 Where to Buy The Landscapers BioNutrition 3-0-3, The Landscapers BioNutrition 3-0-3 Granular - 8 Oz - 5 - 50 Lb - $13.95 for Sale with Fast Free Shipping! 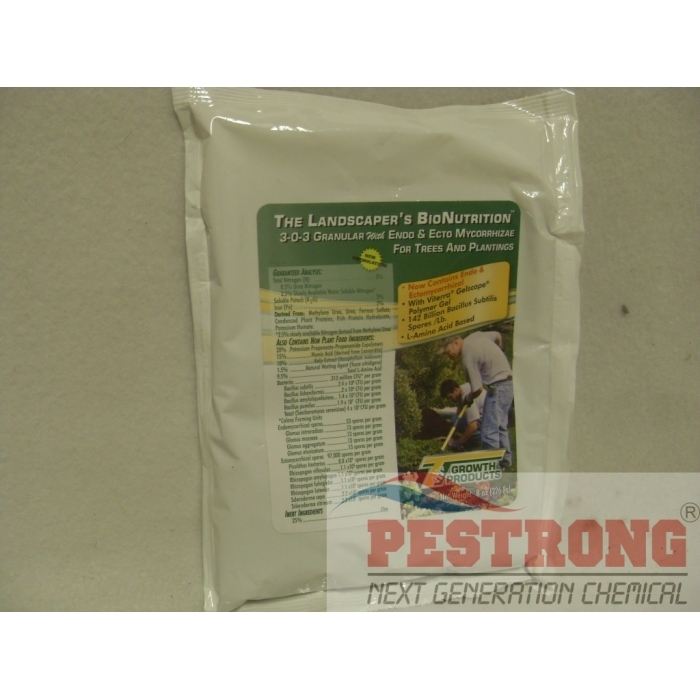 The Landscapers BioNutrition 3-0-3 Granular - 8 Oz - 5 - 50 Lb with endo & ecto mycorrhizae for tree, plantings and hydroseeding is formulated to reduce transplant stress of trees, large ornamentals, other landscape materials, sod and turf establishment. It will provide biologically active soil conditioners, natural wetting agent and rich organic supplements with Rhizosphere beneficial bacteria and Endo and Ecto Mycorrhizae, which are a research-selected mixture of mesophiles and thermophiles that grow and metabolize in the soil in temperature ranges of 45 - 140F. Derived From: Methylene Urea, Urea, Ferrous Sulfate, Condensed Fermented Plant Extracts, Fish Meal. I grow fruit trees. Moving a growing tree into the dirt requires a lot of work and this fertilizer has a bunch of stuff inside to make transplanting easy for the trees, not for me though, that's always difficult. Transplanting requires careful consideration for the plants, and making sure that the areas that you will be transplanting them to is well nurtured is key. 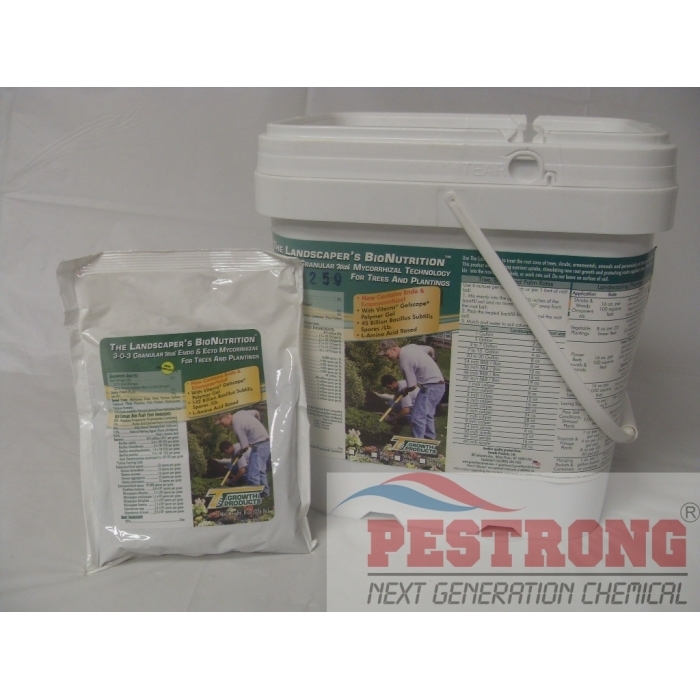 This product has a lot of different nutrients that promote growth, ingredients that makes the soil more accessible for rooting, retaining water to keep the soil moist, and bacteria that boosts all of the above.